On Monday, Tony Abbott made probably his best speech yet as Prime Minister. It was fervent, intense, and calmly delivered. Clearly the well-honed text owed much to good political, public service and security agency minds, over a period of months. It would have predated his recent missteps. Yet the weighting of themes and emphases in the text were his own, and it must be judged as his speech. There are two questions. First, whether he assessed the present and foreseeable terrorism threat prudently and proportionately. The second concerns the effect of his strategy on the security and cohesion of the Australian community. The statement’s timing does seem opportunistic. The ‘Review of Australia’s Counter-Terrorism Machinery’ was commissioned in August 2014 and published fully six months later, by the Department of Prime Minister and Cabinet. It must have been in circulation internally for some time. If its implementation was urgent, it could have been released earlier, but its release may have been delayed so it could coincide with NSW Premier Mike Baird’s Martin Place Siege review, for maximum impact on opinion polls. For all the Prime Minister’s dire warnings of a rising terrorist threat requiring new tougher measures, I do not think he makes a very persuasive case. Australia’s experience of terror is dwarfed by the UK – a similar democratic and multicultural society – during the long years 1969-97 of Provisional Irish Republican Army (PIRA) terrorist attacks on London and Northern Ireland. Over this period, the PIRA, armed with powerful weapons and bombs smuggled from Libya and the US, killed 1800 people including 640 civilians. 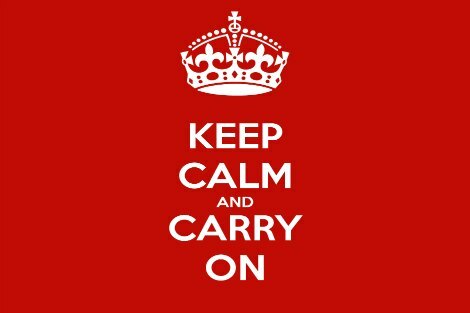 The public response was to keep calm and carry on. Most politicians’ statements were similarly stoical and calming. They did not set out to inflame the threat. Their concern was rather to avoid fuelling panic or defeatism. This long war was fought brutally, with major human rights violations on both sides (only revealed later). But the British Government’s public posture was of calmness, normality, and scrupulous respect for all citizens’ social norms and civil rights. It set a standard that Abbott went nowhere meeting. His words and tone on Monday were those of an angry and frightened man. The phraseology was frequently over-the-top. There was‘the Islamist death cult has declared war on the world’, ‘the contagion that’s infecting people, grooming them for terrorism’, and more. This is language surely intended to instil public fear and loathing of the other. ‘Today’s terrorism requires little more than a camera-phone, a knife and a victim.’ It pumped up the threat from returned Islamist fighters (‘hardened jihadists’). It warned of random spontaneous home-grown terror acts by ‘alienated and unhappy’ Australian citizens who, despite all the benefits of life in a tolerant and welcoming Australia, have been radicalised by the Islamist death cult into rejecting our values. If [the Department of] Immigration and Border Protection faces a choice to let in or keep out people with security questions over them – we should choose to keep them out’ ... ‘We’ve introduced legislation to refuse a protection visa to people who destroy evidence of their identity. There was also dog-whistling to John Howard’s notorious 2001 condemnation of the Tampa boat people (‘ trying to ... exploit our compassion and generosity’) in the repeated theme , ‘We will not let our enemies exploit our decency’. He worked hard his theme of no longer giving potential terrorists the benefit of the doubt. Man Monis as the ready example. While the speech paid brief lip service to Australia’s strength from its rich diversity and immigration history, it was all but silent on social outreach to Australia’s Muslim communities, beyond thanking them briefly for providing intelligence on nascent terrorists in their midst. An opportunity was missed here to draw on the doctrine of subsidiarity in Catholic social teaching. This was formulated in 1883, at a time when minority-cause terrorism was becoming a large problem in Europe. I’ve often heard Western leaders describe Islam as a ‘religion of peace’. I wish more Muslim leaders would say that more often, and mean it. The message to Australian Muslims was essentially intimidatory – ‘we have the power to control and punish you, and we shall now have the will to do so’. I hope that Labor will ensure this message is not reflected in any new agreed legislation. But even at the level of administrative tightening within the present government’s discretion, I can see harm to civil liberties and multicultural harmony if this speech’s philosophy is implemented by agencies like police forces, ASIO, and Department of Immigration and Border Protection. And it probably will be, as we see already in DIBP. The speech will be a vote-winner for a while, until mismanagement of the economy and society properly return to the forefront of the public mind. I think it was a disproportionate speech: primarily, it seems to me, about Tony Abbott trying to rebuild his public image as a safe pair of hands at the wheel. Yet if our society were truly under full-blown terrorist attack, as Britain was from PIRA terrorism campaigns in 1969-1997, Tony Abbott would have had to make a very different kind of speech – ‘Keep Calm and Carry On’. In fact, the Australian people already do this very well without exhortation, as we saw at the time of the Martin Place Siege. As Fairfax cartoonist Cathy Wilcox suggested this week, the Prime Minister is working hard to address people’s fears, the fears he has worked hard to cultivate. Tony Kevin has served as Australian ambassador in Cambodia and Poland. Given all that folliws the first sentence, Tony, I am at a loss as to how you could have concluded that this was Abott's finest speech since becming PM. First, I am mystified at why Australia's Parliament was not the appropriate place for a PM to make such a statement. Then, I was horrified at the gratuitous swipe at Muslim leaders in the 'say it as if they mean it' jibe. Most unbecoming of a PM. Much has been written lately about deradicalisation, but insufficient about marginalisation of social minorities. Young Muslims who feel they are part of Australian society, who know they are recognised by their peers as much Australian as any Anglo-Celtic Christian or humanist, do not become radicalised. Only the disaffected, who feel marginalised, who feel they are not recognised as Australians by the general society, are vulnerable to radicalisation. The Prime Minister's blanket disparagement of Muslim leaders - "I wish more Muslim leaders would say that more often, and mean it" - demonstrates just how little respect he has for the Muslim community. Did he not read or hear the statements and comments by Muslim leaders after the Charlie Hebdo massacre or the Martin Place siege? Or were those statements just empty words because Muslim leaders do not mean what they say? Our Prime Minister has a lot to learn about social inclusion before he can lead the nation into more harmonious future. At the most crucial time to engage with youths being drawn into this terrorist group, he is alienating them, through discriminatory and inflammatory lecturing. Mr Abbott is reactive, unpredictable and most of all dangerous for all Australians. Thanks to Tony Kevin for expressing so well what many must have felt on hearing Tony Abbott's speech - and it depressed me to think that it had been through various expert hands before being delivered. I agree that Abbott has only tried to alienate the Muslim community, especially the moderate leaders. I have heard them many times say that Islam is a religion of peace - perhaps they should add that there are many verses in the Koran which urge believers to kill infidels, and which, thank goodness, most Muslims ignore. But Abbott simply cannot get away from the 'us and them' mentality, notably with his recent talk of 'giving too many people the benefit of the doubt'. Our screening of potential immigrants is pretty tough, as many will attest, and one example (Monis) does not disprove the general truth. Tony Abbott learnt a lot about scare-mongering from John Howard, and I fear it will continue until he is replaced as PM, which can't be too far away. Yesterday's speech was unworthy of a Prime Minister. The Prime Minister's rhetoric on this matter seems to be the last gasp of someone desperately attempting to hold onto office against all odds. It is reminiscent of George W Bush's rhetoric on "The War on Terror". I think any action to curtail our civil liberties and increase surveillance and legal powers which can be used against the general community a thoroughly bad thing. Hopefully the Opposition and minor parties will oppose the PM's strategy. Can you circulate this letter to whoever might listen and act; they probably never read Eureka street. It seems to me that if anyone is inciting hatred, it's Tony Abbott. This is a shameful speech though totally consistent with his divisive and fear driven agenda. Thank you Tony Kevin for this article. It is important that the intended division of society should not be successful. It seems that short term advantage for Abbott takes precedence over the future of an inclusive, democratic community. This is a serious step towards marginalization of the Muslim community and the problems that will create. Shame! We are aimed in the direction of a police state. Thomas Jefferson said: Good laws with bad government is preferable to bad laws with good government. Kevin. I wonder how concern for national security gels with the enthusiasm of governments to allow foreign mining companies to come in and degrade Australia's best food-producing land? At the moment, for example, Shenhua is agitating for a hurry-up for approval for them to start undermining (literally) the productivity of the Liverpool Plains. At least the magistrate saw fit to enter no conviction against David Pocock. Excellent article – although I do agree that the “finest speech” reference seems a bit misplaced. Beating up links between Islam and terrorism is so convenient for Mr Abbott’s political power-at-all-costs bully mentality. Radicalisation is widespread in society –Muslims have nowhere near cornered the market. I recently viewed the angry people attending a Council meeting to oppose approval of a mosque in western Sydney. Some of those people could easily be “pushed to the edge” by their unwarranted fears and prejudices (arguably fuelled by Tony Abbott) and turn to more violent actions to vent their ill-directed passions. Is that not radicalisation? Is not Abbott himself an agent of radicalisation? The recent incident where a car mounted a footpath and ran over three women and a toddler after the driver had taken ice and not slept for three days. The driver allegedly had a long criminal record (including driving offences) and was currently in breach of two AVOs. Has not this unfortunate person been radicalised by society? Is there not now a modicum of “terror” in the community when people walk in the street – fearful that such an incident might recur? There are many other examples of how fear has become endemic in segments of society – multiple drug- and gang-related shootings, self-harming asylum-seekers in detention, children in institutions made vulnerable by their helplessness – and the thousands of family members living under the continual threat of domestic violence. It is simply despicable that our political “leaders” exacerbate and then exploit these fears for their own selfish ends. Thank you Tony. My remarks would just re-iterate what most of the other correspondents have said. Cate has it in one.Abbott is stirring up the very thing he wants now to "fight"; cynical political behaviour, of which we have seen a lot from this mob. But remember that Thatcher did save her first term government through a very convenient war against Argentina. This is surely Abbott`s populist equivalent, but in his case I don`t think it will work. There can be little doubt that those who have lost loved ones murdered by radicalised Islamic jihadists would agree that any society infiltrated by these murderers with a "kill the infidel" mind set and mission should be very afraid and should take steps to protect itself. The government is clearly being responsible in its actions. The urging of religious Islamic leaders to be outspoken against the violence is essential in so much as many Muslim people are likely be significantly influenced for good by those leaders, just as many have been influenced for evil by the radical, hate-filled IS leaders. The government messenger, however, is a huge problem. Abbott simply has to go and the sooner the better. BloodY pity the Liberal Party got it wrong 2 weeks ago. From http://www.hizb-australia.org/hizb-ut-tahrir/about-us The Aim of Hizb ut-Tahrir "This objective means bringing the Muslims back to living an Islamic way of life in Dar al-Islam and in an Islamic society such that all of life's affairs in society are administered according to the Shari'ah rules, and the viewpoint in it is the halal and the haram under the shade of the Islamic State, which is the Khilafah State....It also strives to bring her back to her previous might and glory such that she wrests the reins of initiative away from other states and nations, and returns to her rightful place as the first state in the world, as she was in the past, when she governs the world according to the laws of Islam. It also aims to bring back the Islamic guidance for mankind and to lead the Ummah into a struggle with Kufr, its systems and its thoughts so that Islam encapsulates the world." Hizb ut Tahrir just want the right to live under Sharia and give us the same right. I see no problem with our civil liberties and multicultural harmony. Tony Abbott is the one who would destroy our way of life. Is it compulsory that subscribers and contributors. to Eureka have to be left of centre politically and have to agree that Tony Abbott is the devil incarnate. How about a little balance. This speech was probably drafted with input from many government sources (Defence, ONA, ASIO, AFP,DIBP etc) but the final draft with the political input would have been drafted finally by PM&C. The rhetorical flourishes and gratuitous asides have all the hall marks of a political aficionado. It wasn't exactly Churchillian. It couldn't be because it wasn't geared to harnessing the stoical courage of a beleaguered people. The underlying message of the PM's speech was: Be afraid, be very afraid, and leave it to me to ward off your demonic enemies. In that way it was one of the PM's best speeches - fervent, intense and calmly delivered. And why shouldn't it be? He was speaking from the AFP bunker which embodies the power of the executive government to use legitimate force for the common good. He chose well to avoid the open forum of parliament, where the people's representatives can voice their take on what is 'the common good' for all those groups and individuals who make up the Australian community. In years to come historians may assess it as a 'political master stroke' but today I see it as a Machiavellian manoeuvre of the first order. Abbot's off-the-cuff words are garbled grunts, and the prepared-with-help speeches are full of hate and ignorance. Surely scaremongering tactics will be seen as distractions from the real issues he is threatening to destroy:medicare; disability pensions; education as a right for all not a privileged few; overtime and other penalty rates ; childcare for those who genuinely need it; affordable housing; safe houses for domestic violence victims; cheaper access to renewable energy; a better broadband; etc etc. Youth unemployment is a major problem, especially in the Muslim community. Clean up the real problems and terrorism is not even an issue. Australia is a free country, Australian citizen born here or overseas have the right to oppose and criticise the government and the Prime Minister, but at the same time, they should not forget that a large proportion of the population support the government that they elected in this beautiful country Australia, where you can be born overseas and still becomes Prime Minister. Tony Abbott has given his life for Australia. He is Pro-God, Pro-Family, Pro-Life. He has stopped the boats coming to Australia, stopped criminal people smugglers making money, and saved many boat people from drowning. Open the migration of genuine refugees, including persecuted Christians, He has actually fixed the disasters of Labor's own making, and our grandchildren's future will be frree of debt. Robert, I take your point on the so called bias of the writers, however I am certain that like the ABC listening/viewing audience, the subscribers to Eureka Street represent all shades of political opinion. Sadly even people who are Liberals are seeing Abbott's descent into irrelevance. Ginger Meggs, Tony Abbott has done a lot for Australia through Surf Life Saving, Rural fire service, and helping the Aborigines in Northern Australia for many years. Before judging a person, find out as much as possible about that person. Ron, it seems that Tony's support base is crumbling, all the way from the party faithful to those who voted him. There are many admirable surf lifesavers and volunteer fire fighters who give their time week in and week out without recognition. Could you enumerate what our PM has done personally for the benefit of our indigenous brethren? To all commentators who feel that Tony Abbott's speech is a serious step towards marginalization on the Muslim community, should realise that the western world cannot defeat Islamist Jihadists to behead, crucify, and shoot non-Muslim infidels, and stop the barbaric and hatred against the Jews, Christians and moderate Muslims.It is only the world moderate Muslims that can bring safety to the western democratic world.Tony Abbott did the right thing by having the courage to tell the truth. He has won the respect of all democratic nations, who do not have the answer top stop the evil Islamist Jihadists. Ron, Abbott may be 'Pro-God, Pro-Family, and Pro-Life', but only when it is his god, his family, and his life, or the god, family, and lives of people like him. His call to 'Muslim' leaders in Australia to join 'Western' Leaders in condemning atrocities reflects his 'us and them' view of the world, he categorises Australian-born Muslims as not really PLUs (people like us). His is saying that Australian born Muslims can never be 'Western', by which term he really means 'Christian'. His call for them to really 'mean' what they say is demeaning and laughable given his own track record for truthfulness and sincerity. The personal abuse which he so liberally bestows on anyone who dares to cross him or get in the way of his own egotistical ambitions is destructive of civil society and its institutions. What sort of a personal role model do you think he sets for impressionable and disaffected youth from any part of Australian society? I think this letter could have equally been sent as a comment on Fr Andy Hanilton's fine piece published one day after mine. But I will say it here. What was most offensive and disturbing about the speech made by the PM on Monday was not its material content - much of which consisted of necessary , sensible proposals from the police and national security agencies, who would understand and nod agreement with every point made by Andy. No: the PM' s speech was such a disaster because those same agencies - knowing the social harm it would do, as so excellently visualised by Andy's example - yet allowed the PM to spin the speech in the way he did, knowing as they did that it would negate everything they were trying to achieve. The agency heads should have said firmly to him, no, PM, these are the wrong words for you to use. What has happened to our system of responsible accountable public service advice to Ministers, that a PM can be allowed to get something so important so badly wrong - with his most senior advisers failing to dissuade him? Tony Abbott's attitude toward Muslims is similar to that of Ignacio de Loyola (founder of the Jesuits) - BEFORE his conversion.... combative and confrontational. Does Abbott still require a conversion of heart and mind? Has he forgotten the Ignatian emphasis on a faith that seeks justice and understanding?